Whether you are looking to buy a house or you already own a house and would like to upgrade, more than likely you will need to use your credit. Credit in our society is one of the basic building blocks to financial strength and independence. I am often surprised when I talk to people about how little they know about credit and many know even less about maintaing their own credit. So I decided to explain the credit system and some ways to maintain or improve your own credit. Just so you know, most people don’t take an active interest in there credit until they need it. This is the wrong attitude because in order to fix and improve your credit it often takes time. Usually at least 30 days so don’t work on your credit when you need it. Work on your credit BEFORE you need it and you will be better off. 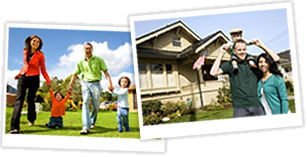 There are 3 main Credit reporting Agencies in the United States. While there are more places that report credit, the main 3 for the U.S. are Experian, Transunion and Equifax. These are the credit bureaus that maintain credit files on most Americans and in most cases this is where people or places that lend credit look to when deciding whether or not to give you credit. One quick note: these credit bureaus are not government run. They are privately held companies that track credit. 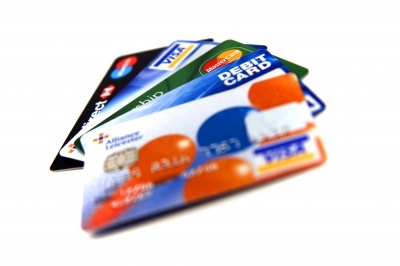 Your credit profile with these three companies is not always the same. Sometimes credit gets reported to one or two of the bureaus but not all 3. So the first step in taking an active role in your credit is to get a credit report from all 3 bureaus. You need to see what information ALL THREE bureaus are keeping on you before you can move forward. By law, you are now allowed to get a free credit report from each bureau once a year. You can also get a report from any specific bureau if you are turned down for credit. To get your free credit report go to the website www.annualcreditreport.com . This site will allow you to get all 3 reports for free. The site will try and offer you to pay for your credit score but that is not necessary at this point. By the way, when you are ordering your credit report, remember that the site will ask you 3-5 specific credit questions. Questions like who did you have an auto loan with in 1995 or how much was your monthly payment on that auto loan from 1995? So you must answer these questions correctly in order to verify your identy. After you pull all three credit reports then print them out and I will show you next week what to look for and how to start removing incorrect information.